The first step to getting the best online contact lens deals is to make some decisions about what kind of lens is best for you. This is a decision to be made with your eye doctor, but the ultimate decision is a personal one. There are a number of factors to consider when you trying to decide which lens is best for you, one being the health and comfort to your eyes. I like the contact lens comparison site Lens Genie for all lens related information because they have a very detailed guides section, and the details in this article are taken from those guides. With their site you can get the information you need to help you make an informed decision. There are two main types of contacts to choose from, with variations within each. Each has its own pluses and minuses. It is basically a personal decision, but should also be taken with advice from your eye doctor. Though there are health considerations, generally it is a cosmetic one and the willingness for certain care procedures. These lenses are inexpensive enough that they can be thrown away daily and a new one used. This is good because there is less chance of infections resulting from handling and cleaning. There is no danger of sensitivity from cleaners, either. Since the lenses only stay in for hours instead of days, the chance of infection and damage to the eyes is also lessened. Silicone-based, gas-permeable lenses are a step between disposables and rigid lenses. They are sturdier than the disposables, and can be worn around the clock for up to 30 days. There is more chance of infections and irritations with this type lens, however. They do get better vision correction that the disposables, however. Tinted lenses can be obtained in all styles of contacts. They are tinted for different reasons. A very light tint that doesn’t change the look of your eyes is designed to make it easier to find the lens if it is accidentally dropped. Other tints either change the eye color or enhance the natural color. These are what are considered the “hard” lenses. They are a bit more uncomfortable and take some getting used to wearing. They give better vision correction, however. Some people have no problem adjusting to them but others have a very difficult time and tend to go with the other types. To safely use contacts and protect the eyes from infection and damage, there are proper care techniques. These ideas can be found at the Lens Genie website. You should always you’re your hands before removing or inserting the lenses and in particular, always use care in inserting, removing, and storing the lens. 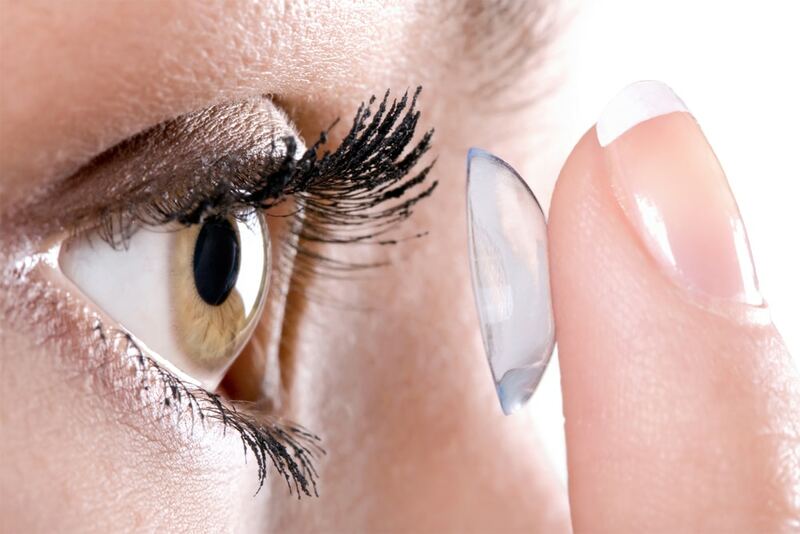 Understanding all of the options and comparing prices is important for getting the best online deal for contact lens. Lena Kristina has researched and written widely about eye care and about price comparison for contact lens deals online. Check out the deals on Lens Genie to do your own contact lens comparison shopping.